Last week I closed by asking your for a Klondike bar. Who wouldn’t? The scorching Texas summer is upon us, and like moths to a campfire we’re all drawn toward the frozen relief of ice cream. 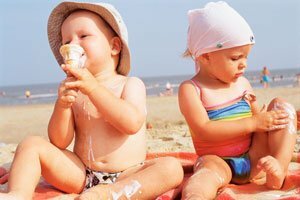 Most everyone has fond memories of devouring ice cream in the summer heat; torn between the need to devour it faster than it could melt and the desire slowly enjoy every bite. In the summer months, when we would play outside with your friends, we could never hear our mothers calling us to come home from two houses away, but the familiar chime of the ice cream truck could grab out attention from far in the distance. If you don’t remember your childhood ice cream truck tune, you can pick yours out from a clip of over 45 ice cream truck songs here. Personally my best memory of ice cream was the family tradition of stopping off at Baskin Robbins for an ice cream cone on the way home from the beach in Hawai’i. True to their name, they always had the famous 31 flavors, but I didn’t need to look at the choices. 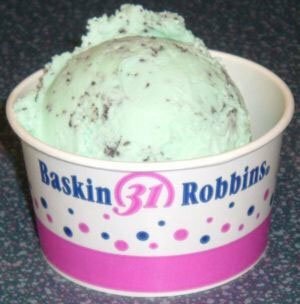 I always went for a cone with chocolate chip mint. I would devour it quickly, risking “brain freeze” with careless abandon. In California, Kenneth Cho and his son, Michael, created Santa Barbara Frozen Treats, Inc. (“Frozen Treats”), a corporation to purchase and operate a Baskin Robbins store. Kenneth was president and secretary of the corporation, and Michael was the sole shareholder from 1997 to 2003. Frozen Treats operated the Baskin Robbins store from 1997 to 2002, employing Michael’s mother. Both Kenneth and Michael were signatories on the store bank account. 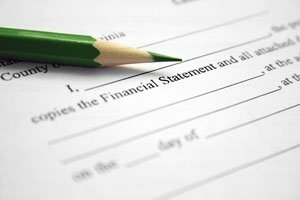 Kenneth prepared financial statements for the store and kept store files at home. After the store closed, Kenneth purchased 40% of the stock to satisfy a corporate debt and became CFO of the corporation. Kenneth stated that the corporation had no assets and did not have an active bank account. Kjell Pedersen and others (“Pedersen”) sought to purchase the Baskin Robbins store, but the sale did not materialize and the store closed. Arbitration between the parties ensued and it was ultimately found in favor of Pedersen for $36,099. Pedersen then attempted to make Kenneth and Michael judgment debtors along with Frozen Treats to collect the $36,099. Pedersen claimed the Chos were alter egos of the corporation and personally liable on the judgment. How Thin Is the Corporate Veil? A corporation is ordinarily considered a legal person, separate and distinct from its shareholders, officers, and directors. This separation is why you, as a business owner, avoid personal liability. Your business is held by another “person” aka your corporation or LLC so judgments are against your corporation and not you personally. A court, however, may disregard a corporate identity under a theory called alter ego liability. Alter ego theory (which some call “piercing the corporate veil”) happens when a business owner abuses or “hides behind” his corporate ownership to avoid creditors or commit fraud or another wrongful act. Yes, this theory applies to LLCs as well! Pedersen asserted alter ego, complaining the Chos used a corporation with no assets, no operating income, and no business to conduct risk-free litigation. Pedersen claimed the Chos controlled the litigation by appearing as witnesses, signing discovery responses, and financed the case. Pederson pointed out Kenneth and Michael were the sole owners, directors, officers and shareholders to the corporation. They also argued the Chos did not follow their “corporate formalities” of holding annual organizational meetings. The court listed 12 factors to consider whether Kenneth and Michael operated their corporation as a shell or conduit conduct their personal affairs. Ultimately, Kenneth and Michael were not personally liable for their corporation’s debt, based largely upon the fact that they did not commingle their corporate funds with their personal funds. Want to know the 12 factors the Court considered? Contact us so you can attend our free presentation “Insider Tips to Protect Your Business” on July 24th where we discuss these 12 factors and more in depth. We’ll be discussing how to maintain your corporate (or LLC) status to avoid personal liability.